Sorry, Tangles, There’s A New Sheriff In Town. Tell us about your hair + hair care routine. I have medium-length, naturally curly, fine hair. I usually straighten it every couple of days with a hair straightener and I wash it every other day. I try to not straighten it every day even (though that’s what I would prefer) because I know it would cause extra damage to my hair. Other days, I just let it be natural and let it dry naturally to its curly state. 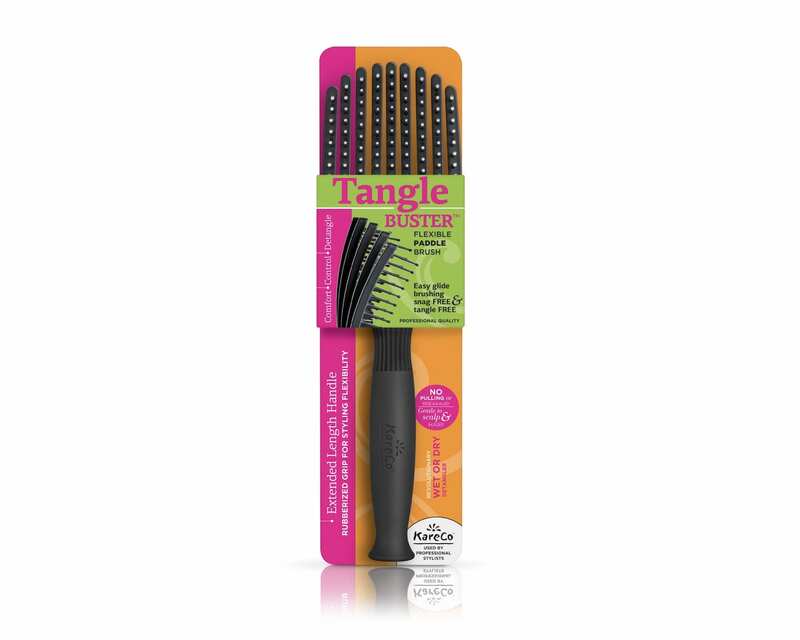 Tell us about your experience with the KareCo Tangle Buster Brush. I love this brush! I’m so bad at wanting to brush my hair, not comb it, when I get out of the shower after I get done washing it, but it always results in me losing a lot of hair. I did not experience that with this brush; for some reason, the flexibility of it really does help. Where do you get your hair inspiration? I’ve never really been one to get hair ideas from social media or any kind of blogs or TV or any kind of advertising. I’ve always kind of just let it organically style itself, and sometimes I’ll do something by accident and then all of a sudden, it turns out beautiful. That becomes my new hairstyle for a while when I just stumble upon new thoughts or ideas for my hair. Who would you recommend a KareCo Tangle Buster Brush to? I think my mom and my sister would really enjoy using a brush like this. They have a hair types that are very similar to mine and it’s something we’ve always discussed, having tangles and losing hair from the bad brushes we have used. What was your favorite design element of the KareCo Tangle Buster Brush? I love the flexibility of it. I think it’s great that it moves with your hair. I also love the individual tines. It’s as if it were designed like a fork for the hair to go through the top. I really love how all the different components of the Tangle Buster work together to give the promised results. It’s really easy to brush your hair dry or wet and it doesn’t catch, resulting in tangle-free hair. The views and opinions expressed in this article are those of the author and do not necessarily reflect that of KareCo.